Here is a picture of Uder Antoine, the new Executive Director of the CEP. 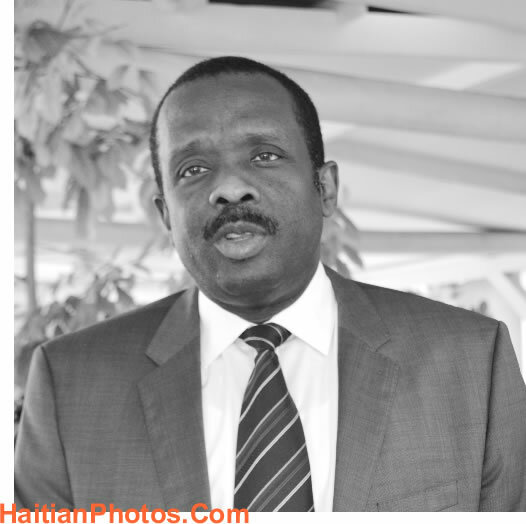 On May 23, 2016, as per the announcement of the electoral institution, Uder Antoine, has been installed as the new Executive Director of the Provisional Electoral Council (CEP), Haiti. He has taken charge from his predecessor Mr. Mosler Georges, who resigned on Friday 20 May. Since December 2015, during the presidency of former President Michel Martelly, Uder Antoine had been serving as the general coordinator of the Office of Management and Human Resources (OMRH). On Monday, May 23, his investiture ceremony took place on the Stéphen Archer Street in Petionville. Léopold Berlanger, the President of the CEP installed him as the new Executive Director of CEP replacing the outgoing Director Mr. Mosler Georges.